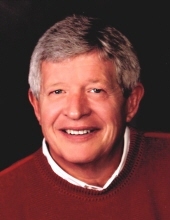 Dennis Gene Hansen, age 68, of West Des Moines, died Friday, March 8, 2019 at MD Anderson Cancer Center in Houston, Texas. Dennis was a member of St. Francis of Assisi Parish in West Des Moines where he and Jodi were active members. He enjoyed working with RCIA and loved meeting new people and helping with hospitality and discipleship. He and Jodi enjoyed traveling and going to Florida for the winter to visit his children and grandchildren. He loved gardening and working in the yard as well as helping and visiting his neighbors. Dennis had a great sense of humor and loved life. He had the best smile and a huge heart for helping others. Dennis did not lose his battle with cancer. He lived graciously and courageously with it until the very end. Cancer does not care who it takes or who it hurts. It comes into your life and begins to break the threads that hold you together and you’re left to see pieces of yourself slip away and dreams fade… We clung to each other only with pure love and faith binding us. In the end is when the most amazing thing happens, cancer loses its strength and grace appears. We need to see it, we learn to accept it, and our faith grows so grace and love can win, not cancer. Those left to cherish Dennis’ memory include his parents; Stewart and LeNore Hansen, his wife; Joleen (Jodi) Hansen, his daughters; Heather Jackson, Katie (Nate) Larson, son; Jonathan Hansen, his sisters; Mary (Steve) Madison, Julie (John) Phillips, his brother; Brent (Rosa) Hansen, his grandchildren; Grace, Audrey, Bishop, Eva LeNore, Lily, and Owen as well as his dogs; Rosa and Isabell. Also, many close family members and friends. He was preceded in death by his grandparents. Memorial contributions can be made to St. Francis of Assisi Catholic Church or to Dennis’ family in his name so they can help other families struggling with the financial burden that cancer causes. To send flowers or a remembrance gift to the family of Dennis Hansen, please visit our Tribute Store. Dennis' family would like to give back to other families struggling with the financial burden that cancer causes. "Email Address" would like to share the life celebration of Dennis Hansen. Click on the "link" to go to share a favorite memory or leave a condolence message for the family.